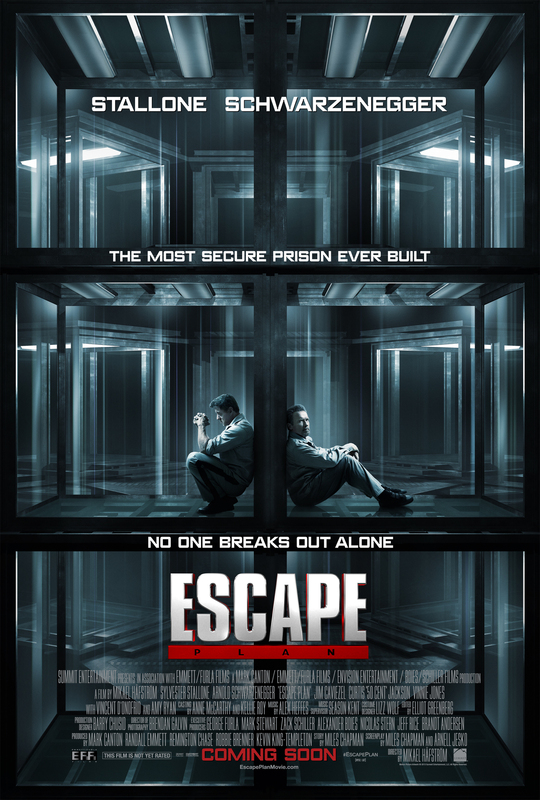 A man dedicated to finding flaws on the current prison facilities around USA, is challenged to escape from a new prototype of a highly advanced new prison type. Good old school action with featuring elderly action-men. The overall plot is pretty basic - a setup with a twist and a happy ending. The quality of the details are quite good at first but then takes a sudden dump and ends up like a cheap 90’s action B-movie with a budget on steroids. That is a shame. Arnie and Stallone both does a classic good job. In my opinion Stallone is a better actor than Schwarzenegger which is also evident here. As one of my favorite action heroes is Vinnie Jones I was a bit disappointed about the small insignificant role that he played, but I guess it was all right. The first prison escape and the circumstances surrounding it was quite good. The actual escape relevant to the plot was mediocre. This goes for both effects, plot and excitement. If you (still) like Stallone and Schwarzenegger, this movie is a must see. If you like action and prison related movies, this one is recommendable for an evening on the couch. I was actually expecting an Expendables type of movie, where these two old timers would go head to head in insults and jokes about their age and history as Hollywood actors... But luckily the movie is quit serious. At least as serious as a 1990's era type of action can be. The plot starts out very promising, with whole backstory of why Ray Breslin(Stallone) "works" as security consultant that breks out of prisons, to prove their securitys flaws, for a living. But soon the plot is all twisted with global agendas, agencies and high value prisoners. This clutters things up too much in my opinion. It's an prison escape movie above all, and they should have kept more focus on that. The bad guys are sadly super stereotypical, as is most of the characters. Emil Rottmayer(Schwarzenegger) is introduced rather late in the movie, but he sure makes for a good adition. Stallone and Schwarzeneggers co-op acting is actually funny and good at times. And it's not Commando slap stick style(maybe a tiny bit). I was worth seeing alone for the above avarage performace of Stallone and Schwarzenegger.